Danny and Diana Kim opened the Local Wood Fired Grill with the goal of introducing bold new flavors to the community. Danny combined his mastery of the grill with Diana's global culinary background to create a unique flavor profile and technique. By using locally-grown ingredients and hormone-free meats, they achieved the perfect combination of health and deliciousness. With tastes of Asia, Europe, and the Americas, the Local Wood Fired Grill offers a dining experience like no other. To top it off, our southern hospitality and family atmosphere allow you to explore the flavors of the world and still feel right at home. Follow us @theLocalWFG on Instagram, Twitter, and Facebook! Our side menu changes daily, with a wide variety of Vegetarian (Veg), Vegan (V) and Gluten-Free (GF) options. Try them all! Thanks to our incredible customers, we've received shout-outs from Buzzfeed and MSN as the Best New Restaurant in Georgia. "I could seriously eat here every single day. 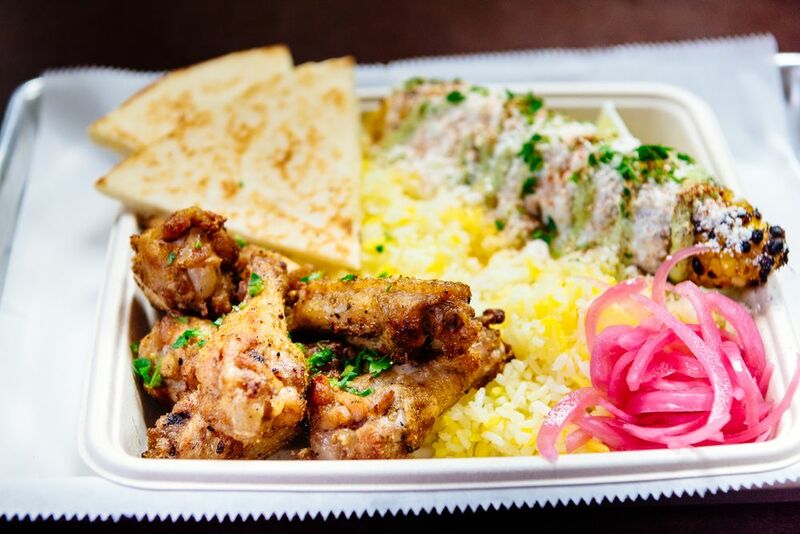 The food is top-notch quality — super flavorful and extremely fresh. Lots of healthy options while still being delish!" —Yelper Amy W.
"Everything — down to the sauces — was delicious. The pulled pork was tender and flavorful. The butternut squash with kale was incredible and the LA street corn was ridiculous." —Yelper Chris H.
"The Local Wood Fired Grill in Alpharetta is run by husband-and-wife team Danny and Diana Kim, whose menu combines flavors from around the world with locally-sourced produce and hormone-free meat. 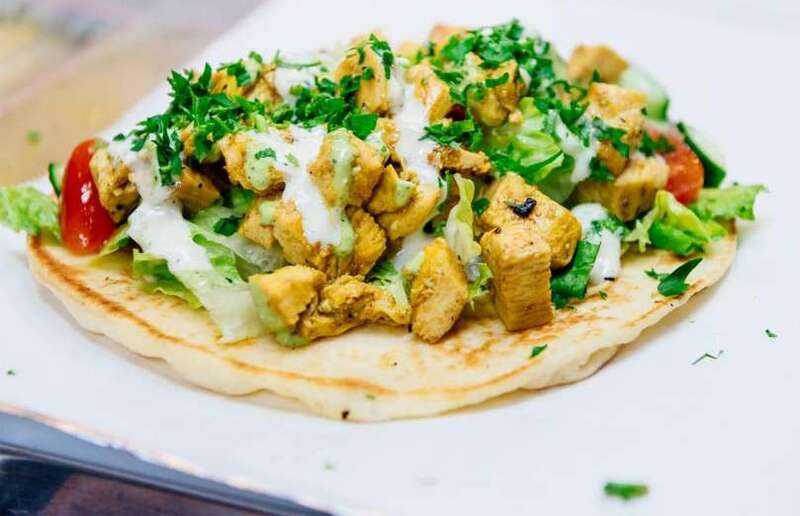 Diverse dishes include fresh and colorful wraps, salads, falafel platters, chicken wings and pulled pork. Customers have praised the laidback atmosphere, the range of healthy options and the super-friendly staff." Copyright © 2018 The Local Wood Fired Grill - All Rights Reserved.